One of the main preservatives used in the cosmetic and food industries is paraben. This synthetic chemical can be found in common deodorants, antiperspirants, shampoos, shaving gels, makeup, toothpaste, commercial moisturizers, personal lubricants, pharmaceutical drugs, spray tanning solutions and food. FYI, all Vitarock.com products, including cosmetics, are paraben-free. When applied to the underarm, the part of the breast that is in the closest proximity is the upper outer quadrant of the breast. Usually, cancer forming compounds have the strongest influence on tissue most proximal to the area of application. This helps explain why 60% of all breast tumours are found in just 20% of all breast tissue, in the upper outer quadrant. Although the study is not absolutely definitive (in order to be so, double-blind placebo-controlled large population studies would have to be conducted for a prolonged period of time), it certainly points to a very strong correlation. Considering the fact that most women use deodorants or antiperspirants, and the fact that there are over 19,000 new cases of breast cancer every year in Canada (it is the most common form of cancer in women comprising 21.1% of all cancers and the majority are fatal), I am in total amazement that the governments of developed countries have not yet sponsored large scale studies to determine a direct causality of this synthetic compound, found in almost all cosmetic products, with breast cancer. Although the risk to men is much less than in women, men also have breast tissue (much less) and can develop breast cancer. Nonetheless, excessive estrogen in men, including exposure to estrogenic compounds such as paraben, can have negative effects on men other than the increased risk of breast cancer. Particularity, excessive estrogen can cause liver tumours as well as problems with the reproductive system, like decreases sperm count and decreased fertility in general. 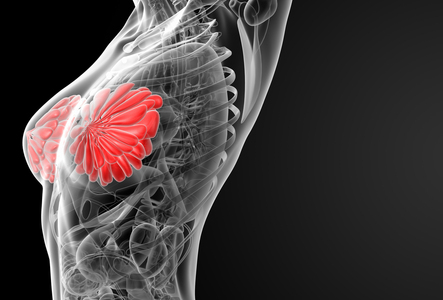 Another study at Northwestern University found that more frequent use of deodorants and antiperspirants in women led to an earlier age of breast cancer diagnosis. An earlier age of diagnosis is almost in all cases related to an earlier occurrence of cancer, which in turn is directly correlated with earlier and more frequent exposure to carcinogenic compounds. The fact that parabens are now very frequently used as a food preservative has led to concern that the estrogenic activity of parabens may be a factor in the increasing prevalence of early puberty in girls. Parabens are used especially in processed and packaged foods, so you should cook only fresh, unprocessed foods that are free from preservatives. Finally, it was also shown that when parabens are applied to the skin (in the form of skin creams, sun tan lotions etc. ), reactions with UV light occur, causing DNA damage and increased skin aging. As far as the industry that produces and incorporates this synthetic compound into consumer products, it is no surprise that they do not want to conduct extensive research into the link between paraben and cancer. A 2005 safety report concluded that parabens in cosmetics do not pose a risk because of the low doses used, the low probability that they will penetrate into the tissue, that they will remain intact in the tissue, and that they will accumulate there over time. All of these statements are false. The doses used are very high when you consider everyday use (as usually is with deodorant use): every day of the week, all year-round, and for many years. With respect to penetration into tissue, again the safety report is not correct since paraben has a benzene ring in its chemical structure which is very lipophilic, which means that it can penetrate tissues that have a high fat content such as the skin and breast tissue. With respect to remaining in the tissue, again the report is incorrect since lipophilic compounds, such as paraben, once inside tissue that is high in fat content, want to stay there due to their affinity to fat molecules. And with respect to accumulation over time, again not true as everyday use, all year for many years (for example 30 years until breast cancer occurs) can lead to extraordinary accumulation over time. This safety report was the main safety report used for the acceptance of a certain level of parabens in consumer products! Buyer beware. No need to say anything more. Categories: Women's Health | Tags: beauty, deodorant, deodorant roll on, deodorant spray, deodorant stick, personal care | Permalink.